While there is no guaranteed pass for the Canadian citizenship test in 2015 there are some excellent strategies for success that you can use to guide your process. When the time comes that you need to take the Canada citizenship test it’s important that you prepare for the 2015 citizenship test questions regularly so that you can walk into the test date feeling very confident and ready to pass the 20 question multiple choice exam. Leading up to the test you will need plenty of Canada citizenship test practice. The government of Canada will provide applicants with free resources such as the PDF version of the Discover Canada guide. Utilizing these resources can teach you a lot about the country as well as provide a basis for all of the questions that might be on the Canadian citizenship exam for 2015. Reading through this material as well as doing a bit of research can help you learn the basic material that you might need to pass your citizenship test. Trying to cram for all of this information in one night can be extremely difficult. Proper Canadian citizenship test review and setting aside a small part of your schedule over several weeks will help you find the Canada citizenship test practice that you need to succeed. We can absorb more information over this long period and it’s important to note that much of the information covered is beneficial to Canadian citizens for the future as well. After you have set aside some time to study and review the material you should consider making final preparations for writing your 2015 Canada citizenship test. Usually in the final stages of the citizenship test preparation, most people take the sample citizenship test available on the government of Canada website. This sample citizenship test as well as several others which are published online to give you an indication of the level of knowledge that you might have going into the Canadian citizenship test. If you find that you struggle your way through these practice tests it may be a good idea to go back and review the Canada citizenship test booklet requirements or the government of Canada resources for studying. 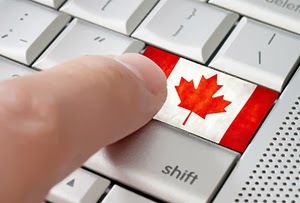 This article was posted in Citizenship Test Tips and tagged canada Citizenship Test, Canada Citizenship Test Tips, Citizenship Test Tips, Internet citizenship tests.